The term "spiritual warfare" conjures images of heavenly battles between archangels and demons, but Sonja Corbitt insists that there is a realm of spiritual warfare that is more domestic than it is cosmic--in the trenches of dirty bathrooms, fighting children, irritable spouses, the struggle to stop smoking or overeating, crazy schedules, and overwhelming workloads. In her new book, the author of Unleashed takes us deep into scripture and the spiritual practices of the Church in order to show us how to resist the avalanche of temptations that can threaten us and lead to paralyzing anxiety and fear. 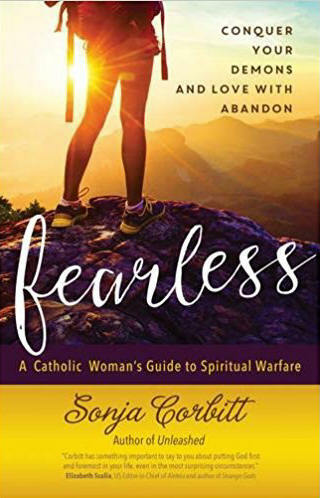 Through her powerful personal story and teaching, Corbitt shows us how to put on the armor of Christ and learn to live fearlessly, love with abandon, and embrace life with confidence.